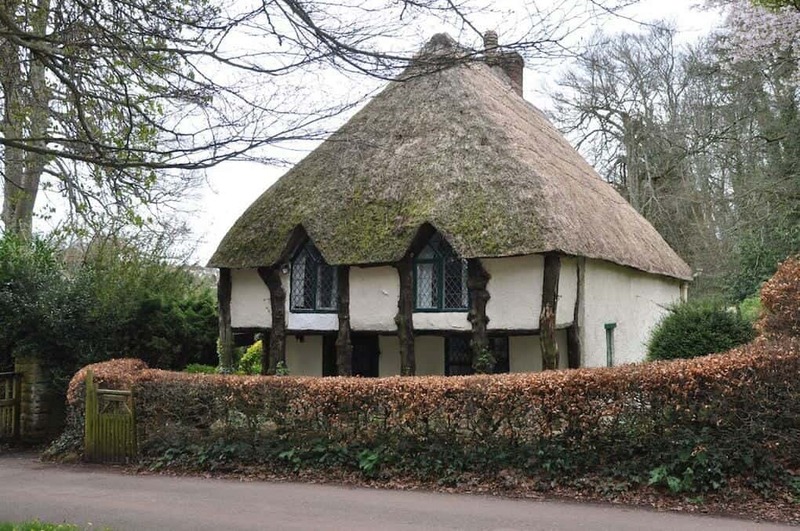 What Is A Thatched Cottage? Thatching is the craft of building a roof with dry vegetation like straw, water reed, sedge, rushes, or heather. The materials are layered, so any moisture is kept away from the inner roof. This method is very old, and is still employed by some builders. In countries like England, thatched roofs are common on the oldest residential buildings. In recent years, thatching has become the choice of some affluent home-buyers, who desire a rustic look, want a more earth-friendly home, or are replacing the roof on an originally thatched roof home. 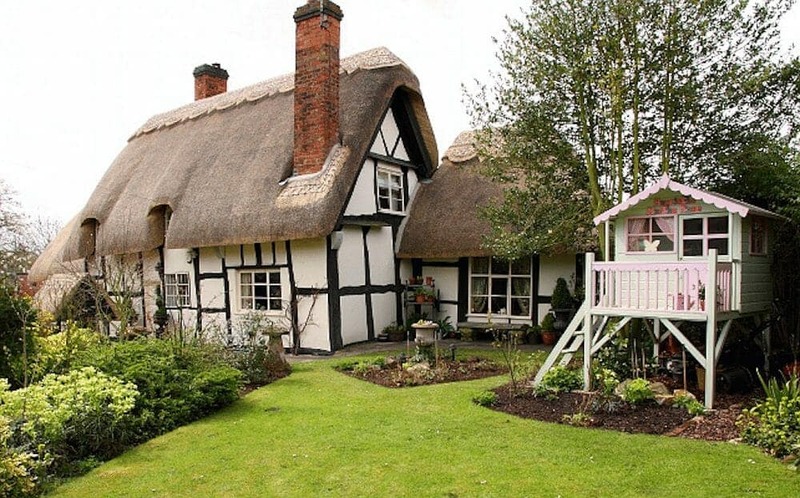 So why do so many cottages in England have thatched roofs? 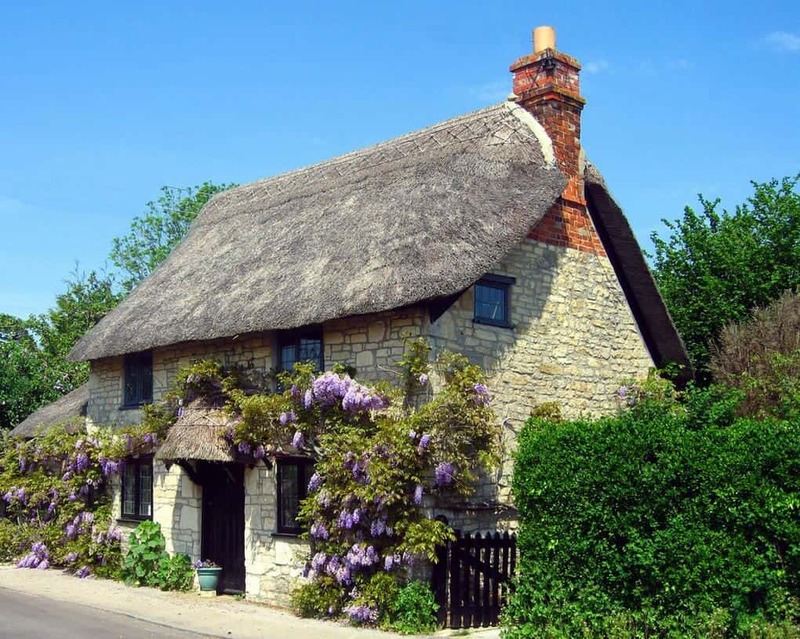 Even into the late 1800s, thatching was really the only roofing material available to rural residents in England’s countryside. Thatch became a symbol of poverty after other materials became available, but has seen a resurgence in popularity, especially among the wealthy. Once a symbol of poverty, thatched roofs have become a status symbol. 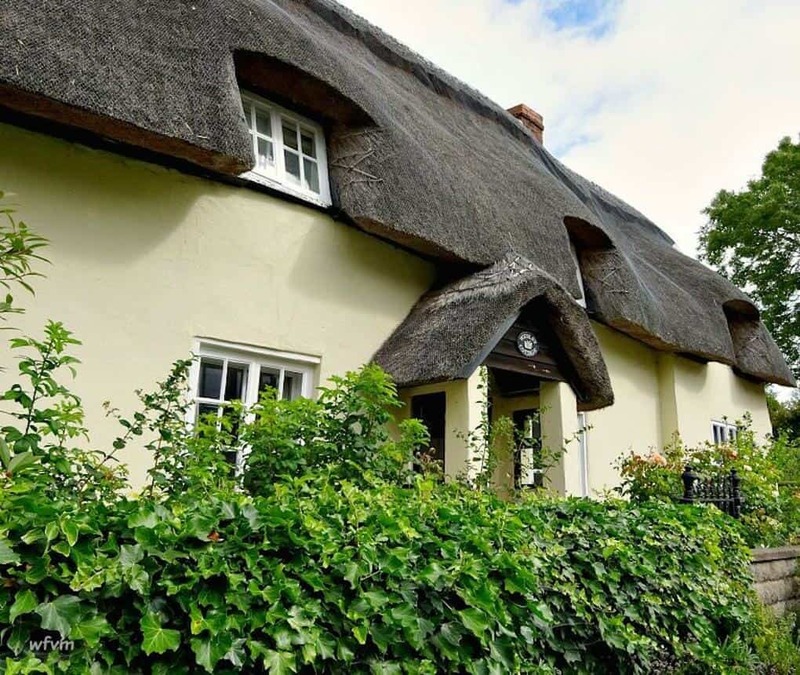 There are actually more thatched roof homes in England than in any other European country, and these roofs can last for up to 50 years if maintained well. Thatched roofs have become part of the very fabric of the English countryside, depicted in paintings, photographs, and other media. 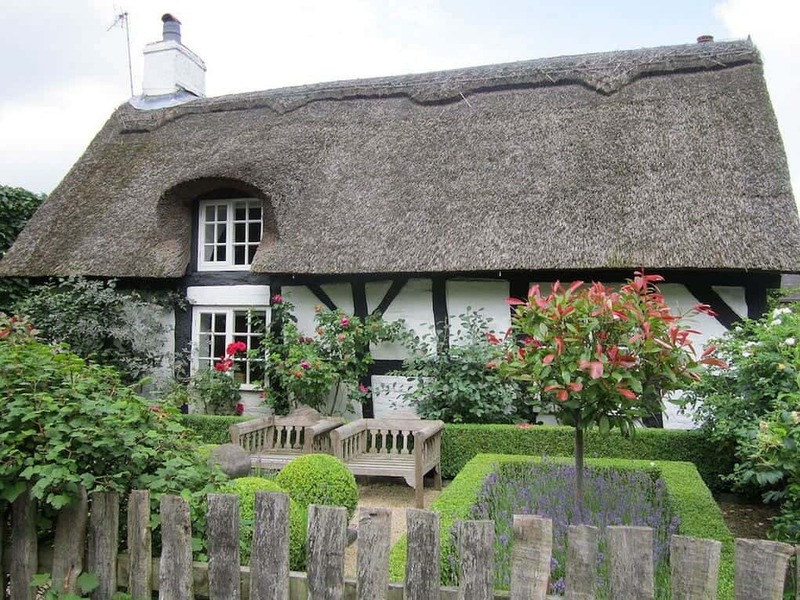 The type of thatching used in English cottages varies depending on the region. 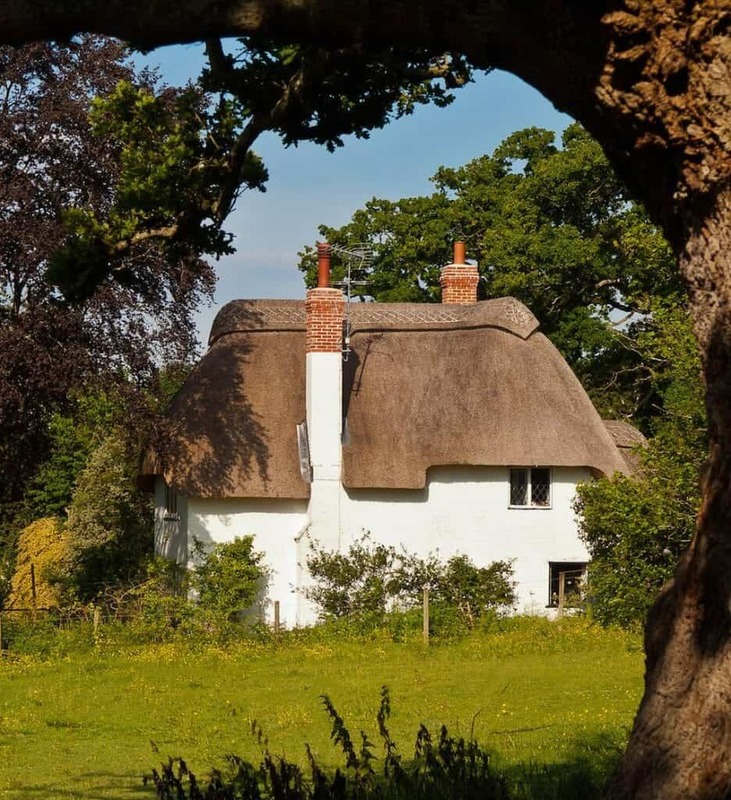 Southern England cottages in Hampshire, Dorset, and Devon use a heavy layer of wheat straw to create the roof. Roofs in Somerset and in some parts of Devon use wheat reed to create a cleaner line. In East Anglia, roofs are made with Norfolk reed from the sea marshes and rivers. In Northern England, you’ll see roofs of heather. We’ve assembled a list of some really beautiful examples of thatched-roof cottages from all around England. Please enjoy! Cottage outside the Golden Pond Fishery in the beautiful Test valley in Hampshire, southern England. The roof is thick and sloping. This cottage has gorgeous original glazed windows that speak to the attention paid to the maintenance of this building over the years. Thick ivy grows outside of this stucco cottage with a traditional thatched roof. Cottages in the English countryside are typically accompanied by a wild, seemingly untamed natural garden that adds to the quaint charm of the village. Wisteria vines grow over the face of this stone thatched-roof residence. A newer brick chimney is visible beneath the roof. Contrary to popular belief, thatched roofs are not a fire hazard and actually burn very slowly in the event of a fire. Thatched roofs lend themselves beautifully to oddly-shaped homes. This cottage has lattice work over the facade and a veranda made of natural curved branches and tree-trunks. The result is a cottage that looks at home in any medieval fairy tale. A white stucco front is striking against the brown of the thatched roof. The chimneys have been updated with brick at the top, and it appears as though some more modern roof tiles have been added, in a style that is popular in mainland Europe. This snow-encrusted cottage is located in Great Tew, Oxfordshire, and is not far from Blenheim Palace, making it and the village a great stop for sightseers. While thatch might not seem like it’d hold up well to the snow, like with traditional roofs, the strength of the thatch roof is dependent on the roof structure below. This cottage features Tudor-era brickwork. This village in the Cotswold is spacious enough for a family and has a romantic atmosphere perfect for a couple’s getaway. The lovely gardens are punctuated with a pastel playhouse and multiple fruit trees. 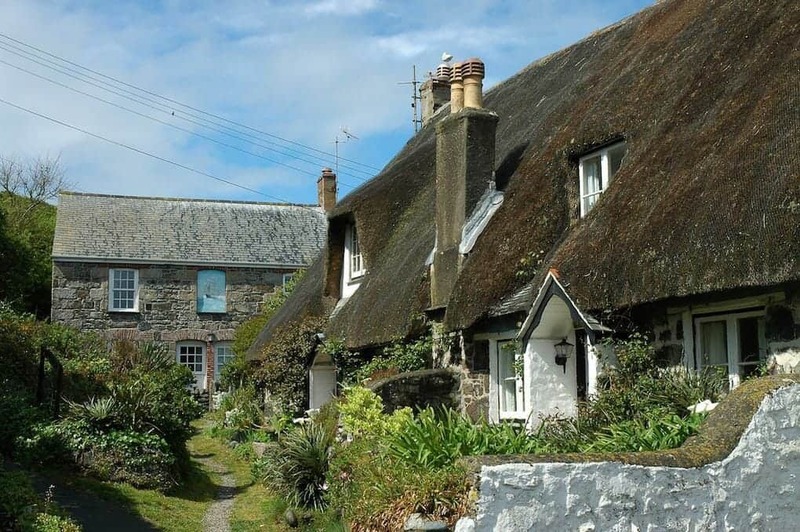 This lengthy cottage in Cornwall sits adjacent to a brick home with slate roof tiles instead of thatch. The homes lie on a narrow pathway that simply adds to the charm of a small village. The gardens are overgrown and only hemmed in by a whitewashed garden wall. 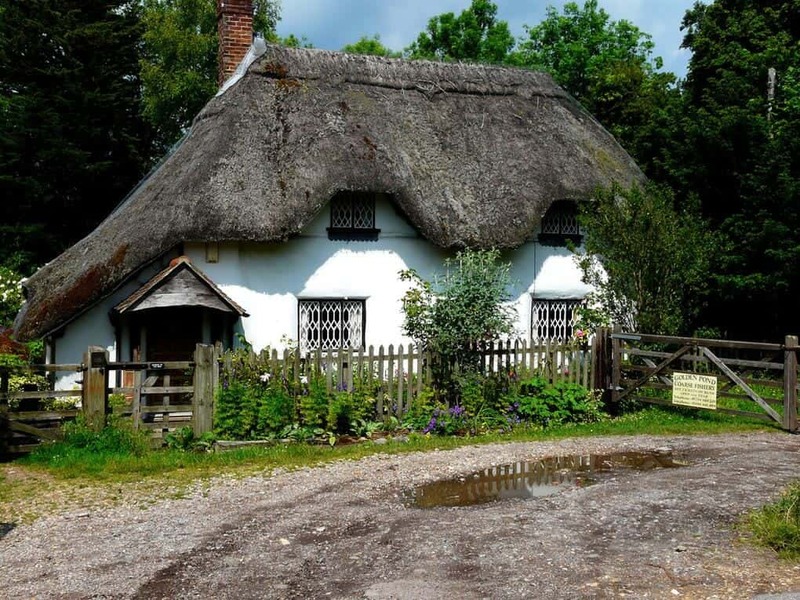 Ten Penny Cottage is located in Welford-on-Avon. Visible behind this lovely traditional home is the tower of St. Peter’s church. The yard is outlined by short stone walls with a well pump and gardening beds on either side. 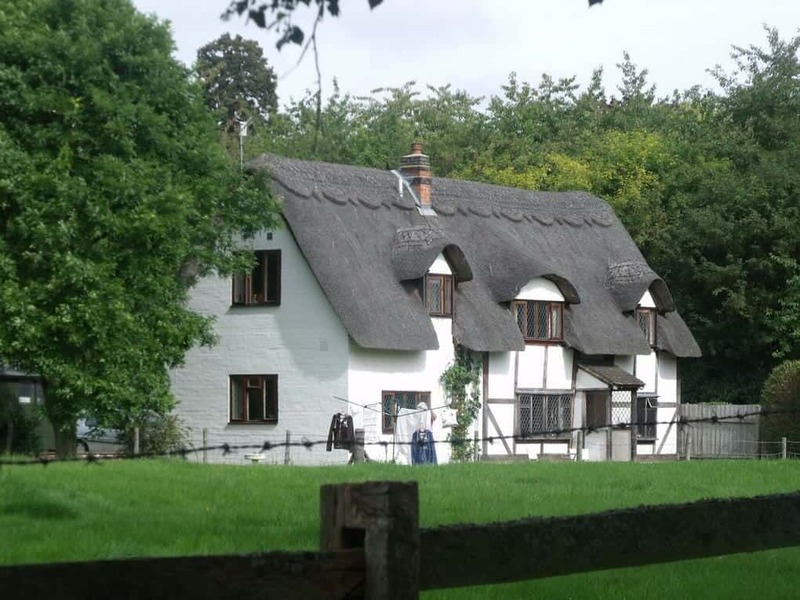 The two sections of this lovely thatched roof building are made distinct by painting one half in a cream and the other in a bold white. Twin chimneys add to the presence of the home. Anne Hathaway’s Cottage is a 12 room farmhouse where Anne Hathaway, the wife of William Shakespeare, lived as a child in Shottery, Warwickshire. The earliest part of the surviving home was built prior to the 15th century, while the higher part of the home was built in the 17th. This lovely building was restored in the 19th century by the Shakespeare Birthplace Trust, and both the home and the gardens are open to the public as a museum. This great example of the ‘black-and-white’ style of thatched cottage is located in Knutsford, one of the most affluent villages in Cheshire. The lovely village is characterised by “sanding the streets” which means that the streets are decorated with colored sands in patterns and pictures. While visiting the town, you can also visit the Knutsford Heritage Centre, which is located in a 17th century timber-framed building that was formerly a blacksmith’s forge in the 19th century. Queniborough is a village in the county of Leicestershire, United Kingdom just north of Syston and to the north of Leicester. The old part of the village has most of the thatched homes, some of which were built in the 16th century. This is a small, quaint village with a few local shops like a butcher and delicatessen, as well as hairdressers. This particular cottage dates from 1604. The tower of St. Barbara’s church can be seen to the far left of this lovely cottage in Ashton under Hill. The tiny village has a population of less than 800, and was the home of author Fred Archer. The village’s only church, St. Barbara’s, is reputedly the only church in England dedicated to the saint, who is alleged to provide protection from lightening strikes. The church celebrated its 1000th anniversary in 2015! This small cottage is located in Brigsley, a small village in Lincolnshire. The tiny village has less than 400 permanent residents, but is the home of an 11th century Anglican parish church, which also has a Norman tower with an early English nave and chancel. This cottage is located in a picturesque village that was founded around 2,500 years ago in the Iron Age, and still contains ruins of two hill forts on either side of the valley. Aside from the village’s gorgeous thatched roof cottages, visitors can see Cockington Court, the manor house of the Mallock family, Drum Inn, and the Almshouses, which consist of seven terraced cottages built during James I’s reign. The town has an old legend about a cockatrice that terrorised the village until it was captured and imprisoned in the dungeons below Wherwell Priory. Pencil Cottage is a popular building in Shanklin’s Old Village, a popular sea resort on the Isle of Wight. The little village has plenty to do for tourists, including lots of local shopping and amusement arcades closer to the shore. This secluded Dorset cottage was built by Thomas Hardy’s great-grandfather in 1800 and has not been altered very much from the original building, particularly on the exterior. The walls were constructed from cob, and over the years have been treated for weather protection. Thomas Hardy himself was born in this small cottage in 1840. 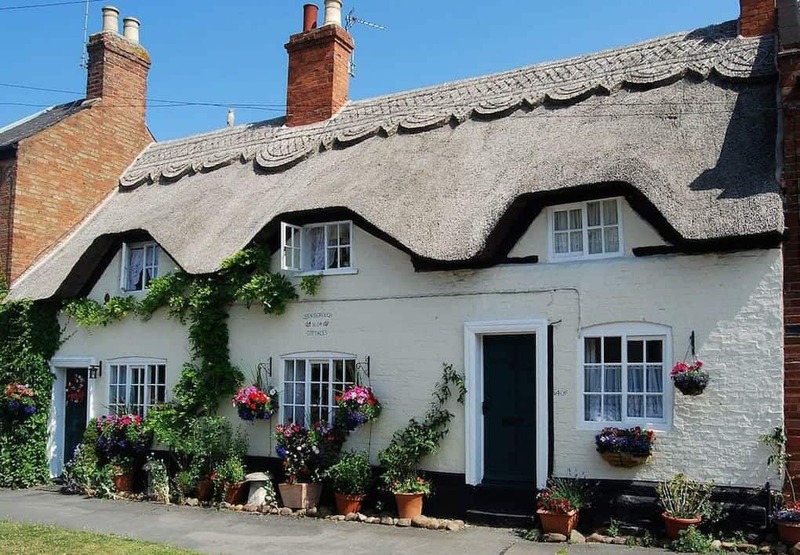 This quaint cottage is located in Shottery along the Jubilee Walk, just west of Stratford-upon-Avon. The walk was built by The Shakespeare Birthplace Trust and opened in 1977 during the Queen’s Silver Jubillee. 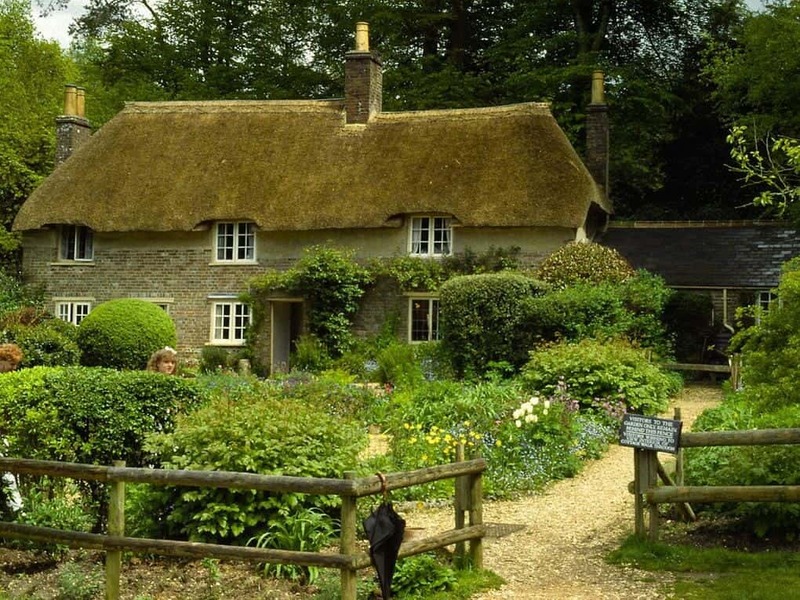 The village of Shottery is also home to the more famous Anne Hathaway’s Cottage.